Alex Salmond says "Scotland is on the cusp of making history" as he marks the anniversary of the 1997 devolution referendum. The first minister was speaking on the anniversary of the referendum when Scots voted to re-establish a Scottish Parliament after 300 years. 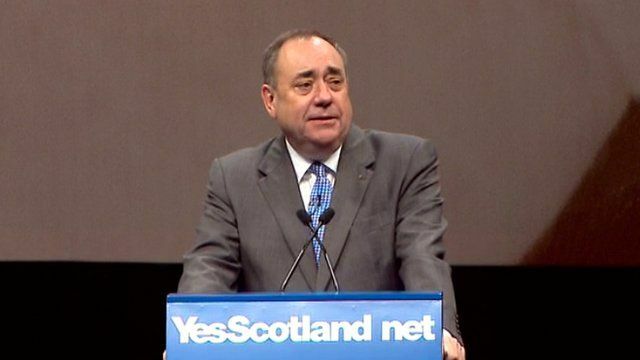 Mr Salmond said: "Scotland is on the cusp of making history. The eyes of the world are upon Scotland. "What the world is seeing is an articulate, peaceful, energised debate. Scotland will vote 'Yes' next Thursday." The international press conference took place place the day after the main UK party leaders called on Scots to reject independence.